…in which the rambler gets his hands on a rather special R2R recording of an all-time favourite piece of music, from Italian label Fonè Records. In the early days of my relationship with my girlfriend I’d come home from the record store or a charity shop, excitedly brandishing my latest vinyl find and she’d say, But don’t you already have that album? Fast forward to May 2018 and when I come home from Munich’s High-End Show and unpack my brand new copy of Rimsky-Korsakov’s Shéhérazade from Fonè Records, she doesn’t even mention the 15 copies of Shéhérazade I already own (13 on vinyl and 2 on tape). I guess she’s used to me by now! But seriously, 16 copies? Okay so I have a particular soft spot for Shéhérazade. Admittedly I was a bit of a late starter in terms of classical music appreciation, coming to it only in my mid-twenties. The ‘nudge’ came from a combination of my then in-laws and a good friend and fellow art student (yes, I was an art student, and yes, I married early). Predictably, my classical journey began with Tchaikovsky’s 1812 Overture but it was the B-side, Romeo and Juliet, that really seduced me with the gushing and swirling of its massed strings. I’ve been a sucker for a good string section ever since. At some point in the early 80s my friend dragged me to the BBC Proms at London’s Royal Albert Hall. I’m grateful he did – the acoustics in that building are something else! From thereon in we became regulars and my love of classical music was cemented. The Shéhérazade addiction came a few years later, by which time I was gainfully employed in the hi-fi industry. I was at one of those late night boozy work parties and wandered into a room full of dudes listening to classical music in the dark. The record playing was Shéhérazade and, while I don’t recall which version it was, it was love at first listen and as soon as I’d sobered up I immediately went out bought myself a copy (on vinyl). My first purchase was the recently released (1983) Chesky reissue of the famous 1960 Reiner / Chicago Symphony Orchestra recording (shown left) and it remained my favourite for many years. So I was both excited and nervous when I sat down with my new acquisition from Italian label Fonè Records (written as lower case ‘fonè’ in their logo but for the sake of readability we’ll stick with the gramatically correct ‘Fonè’ here). A new (to me) Shéhérazade is an exciting prospect but at the same time, when you’re dealing a much-loved favourite there’s always that dreaded risk of disappointment! As soon as the music starts I’m instantly aware that what I’m listening to is a tape, and a master tape copy at that. There’s that tremendous dynamic range, the earth-shaking power of the bass, the contrast between loud and quiet, the sweetness of those violins. And of course the unbeatable timing… the musical flow as this masterpiece unfolds is captivatingly and achingly beautiful. Even when I’m just a few bars in, it already eclipses everything I’ve heard on vinyl. There’s simply no contest. What also clearly hits me from the outset is that this is a live recording. I’m immediately aware of the recording venue, the Teatro Regio de Torino. I haven’t actually been there but right now I am there. I can hear the acoustics of the space of course, but also tiny noises: shuffling of feet, breathing and other small sounds that make the whole experience come viscerally alive as a real performance event rather than a studio construct. By the time I reach the end of tape two I’m soaring along with the heart-stopping solo violin climax. When the crowd cuts in with applause I’m convinced I feel the same rush of energy that they do and begin welling up with tears, just as if I were there among them. Okay, so £550 for a recording is not an insignificant amount of money. But if I truly compared ‘like for like’ then I’d have to factor in the cost of event tickets, flights to Turin, hotels, meals etc – multiplied by the number of tape plays. Yes, this recording sounds that live. In other words I have no qualms about the value of this tape to me. None whatsoever. It’s quite simply the most magical experience of listening to Shéhérazade I’ve had. Bravissimo! And here’s the interesting thing… at this point I’ve been talking only about the recording. I haven’t even begun to evaluate the performance or the interpretation! So what about it? Gianandrea Noseda isn’t a conductor I know well, though I do have a few of his BBC recordings (he led the BBC Philharmonic Orchestra for some time). He wasn’t someone I had down as one of the greats but actually a bit of online research suggests I that I’m clearly mistaken there! It turns out that Noseda, who was born in Milan in 1964, is widely recognized as one of the leading conductors of his generation. He has led many of the world’s most renowned orchestras and earned an enviable bank of noteworthy accolades. In the late 2000s and early 2010s he emerged as one of the top operatic conductors on the British scene, and today he is musical director of the National Symphony Orchestra in Washington DC. So it’s not surprising, then, that this performance is very much ‘up there’. Perhaps not quite in the same league as the Reiner / Chicago Symphony Orchestra performance for me personally, but ‘up there’ nonetheless. This is also a very captivating rendition. It’s beautifully lyrical and certainly as compelling and seductive as most of my various favourites. Again, it doesn’t quite knock the Reiner off the top perch, but it can certainly hold its head high among pretty much every other version. Overall, though, it’s the quality of the recording that I keep coming back to, which is what makes this recording the undisputed number one for me – bettering both the Reiner and the Kondrashin on vinyl by a large margin. Of course I’m aware that the Reiner recording is now available on tape (from Acoustic Sounds) and it’s definitely on my shopping list. But also on the list now are a number of further titles from Fonè, based on the strength of this experience! Beethoven, Stravinsky, Vivaldi, Astor Piazzolla… there’s around 50 titles to choose from. Founded in 1983 by Giulio Cesare Ricci, Fonè is a record company with a difference. Specialising in classical, jazz and Italian pop, a key element of Fonè’s approach is to record performances in their ‘natural habitats’ – and never in a studio. “Each new recording is the result of an enthusiastic encounter between the art of performance and the art of recording, and aims to reproduce the spirit with which works of the past were created,” explains Ricci. In other words, all of Fonè’s recordings are made in the very same kinds of places as they would have originally been presented. This necessitates a constant search for suitable locations – from churches to theatres, country mansions, drawing rooms and so on. Once a suitable spot has been tracked down, the recordings are carried out with the utmost simplicity (“the only way not to do violence to the music”). Paired 1940s Neumann valve microphones (as per those used by The Beatles at Abbey Road Studios) ensure an extremely natural timbre, with absolutely no electronic manipulation or artificial correction of the signal. 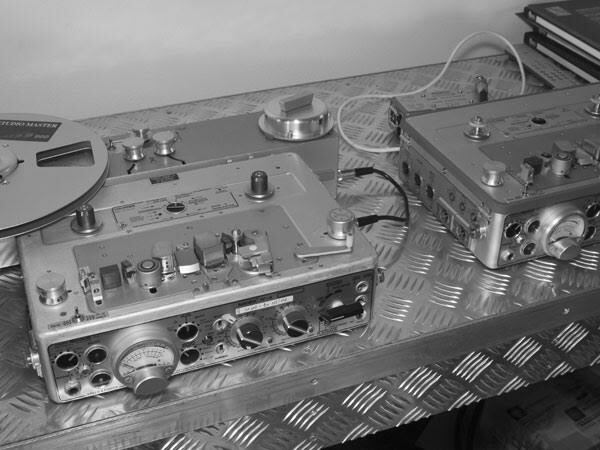 Ricci has an enviable arsenal of perfectly restored classic tape recorders on which to capture the mics’ output, including a Nagra 4S, a Studer C37 and a J37 (a J37 was used to record The Beatles Sgt. Pepper album), and an Ampex ATR102 (favoured, I’m told, by The Rolling Stones). I’m keen to have a much longer conversation with Ricci one of these days about his recording process, but that’ll be for another ramble. 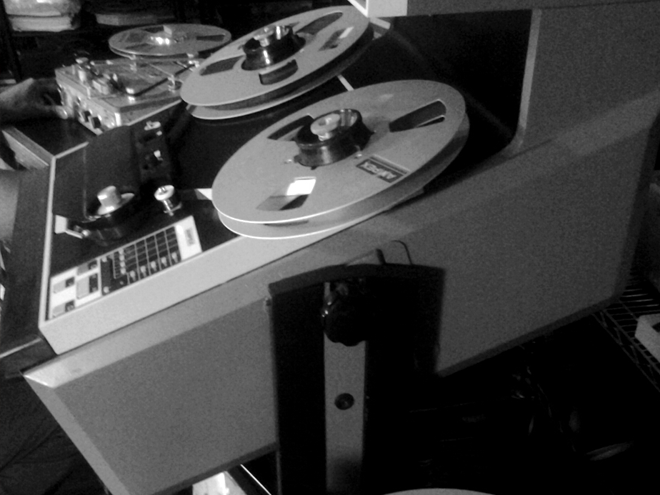 Pure analogue recording using 2 x Neumann U47 valve microphones > Custom-built ‘Signoricci’ microphone preamp / mixing desk / Ampex ATR-102 running ½” tape at 30ips. 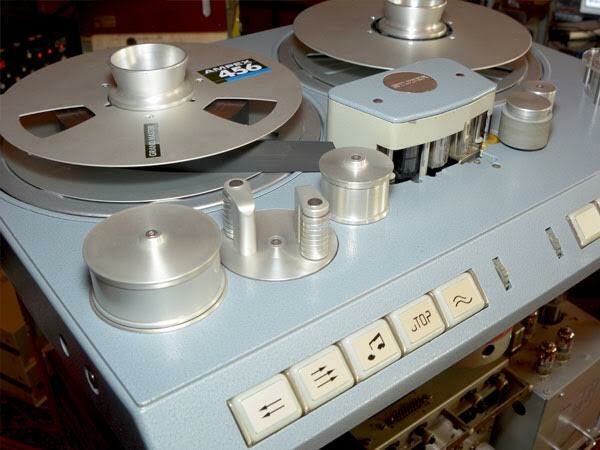 Copy master 148 made by direct real-time copy from Ampex ATR102 (½”, 30ips) to Nagra 4S running at 15ips recording onto ¼” Recording the Masters SM900 tape (2 reels). This recording is also available on SACD, cat. no. 193. Fonè also recorded the same concert using a more conventional multi-microphone set-up. This recording was made in both analogue (again to an Ampex ATR-102 running at 30ips) and direct to digital (DSD) and is available on SACD (cat. no. 148) and vinyl (LP 074).